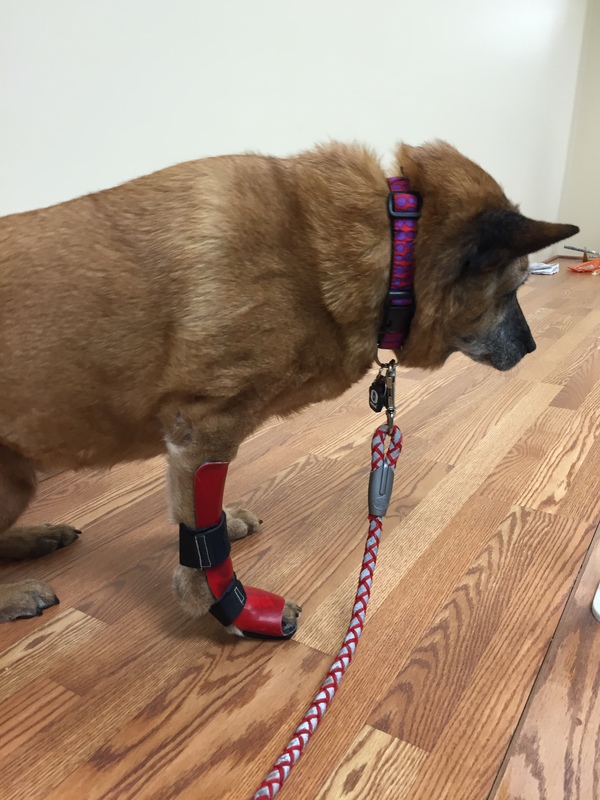 “Most dog owners are not aware of prosthetic and orthotic options that are available today. 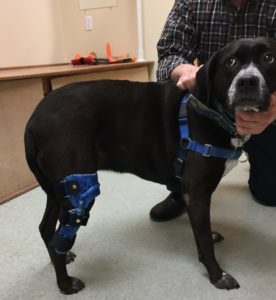 We are able to provide really awesome technology and help improve the quality of lives to pets.” says Marty Mandelbaum, CPO. 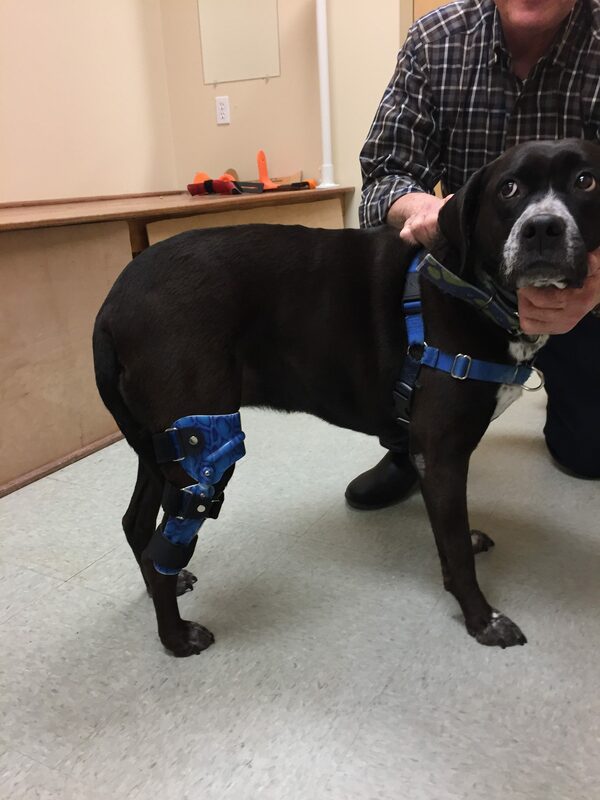 Juno, a lab/pointer mixed breed received his cruciate knee orthosis and was then able to move about pain free. 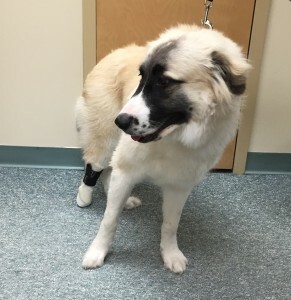 Niki, a Great Pyrenees puppy, was born without a fully developed rear leg. 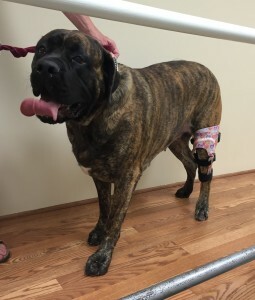 She was recently fit with her prosthetic leg to protect her limb and even her limb length. 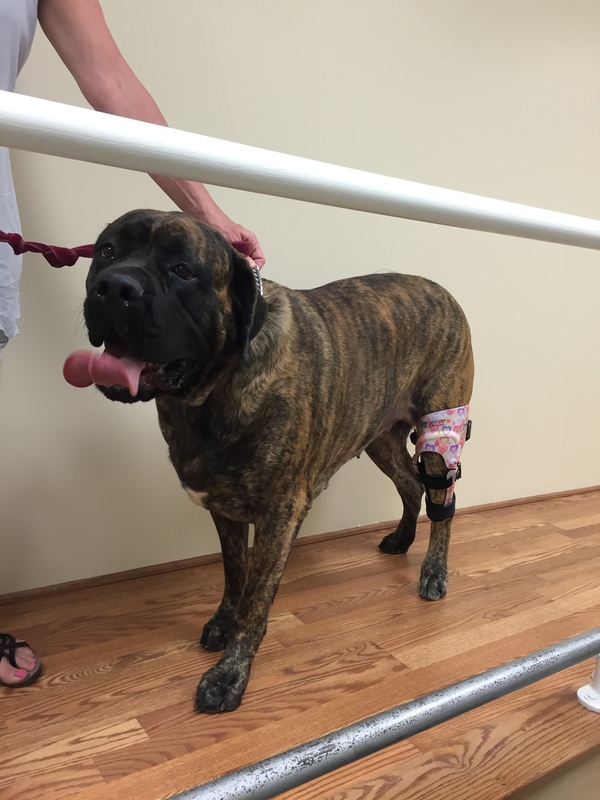 Layla, a 199 pound 1 1/2 year old Mastiff received her cruciate orthosis. 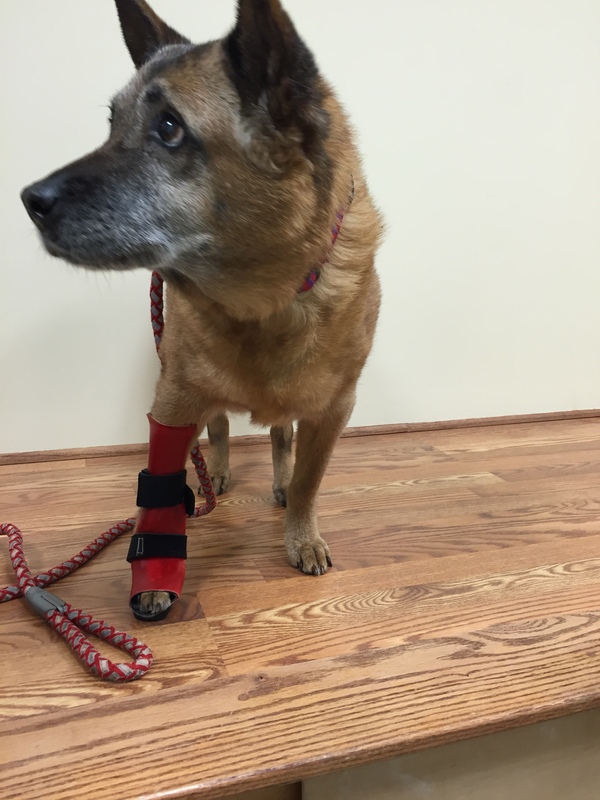 Lexi needed a stabilizing splint for her right paw to make walking more comfortable. Moses, a 1 1/2 year old German Shepherd was born with a malformed rear paw, received his new prosthetic limb which protects his limb and levels his pelvis. 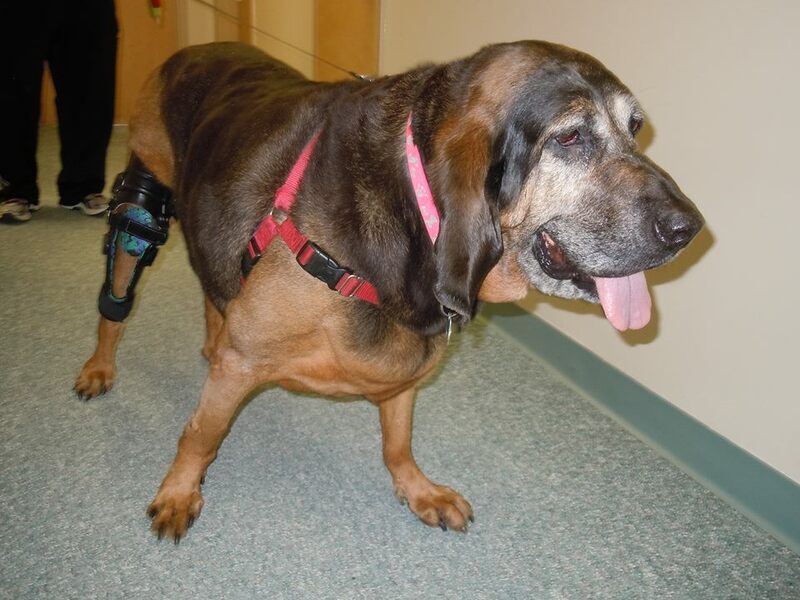 Elvis, a 10 year old large bloodhound had difficulty walking due to his injury and weight until we provided a custom made rear leg brace to support his weakened limb. Elvis, is not a candidate for reconstructive surgery and needed support to enable him to walk independently. After a few minutes of training Elvis was able to walk up the ramp to his owner’s truck. 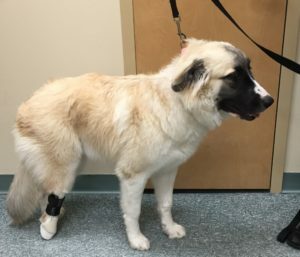 His owner Scott was very grateful that we were able to fabricate a successfully fitting orthosis in just a few days and save him from going out of state for this type of service. 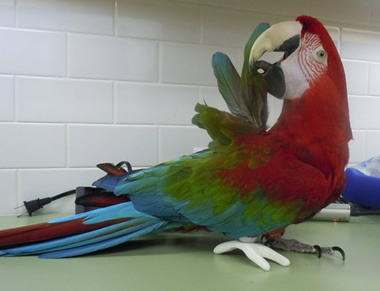 Meet Big Red, although not our usual patient, we couldn’t turn down helping him with a claw prosthesis. 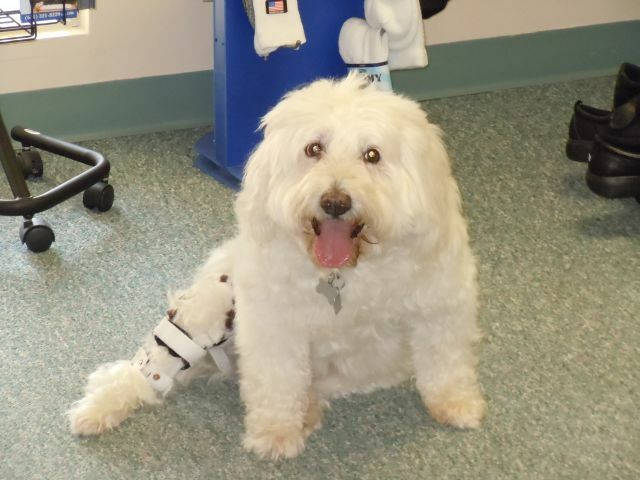 Jake is a 15 year old who needed a cruciate control orthosis to help him walk. 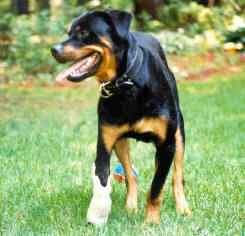 Henry is a Rottweiler that was born with the umbilical cord wrapped around his right front paw, as a result his paw is shorter and malformed causing him difficulty in walking and balancing. 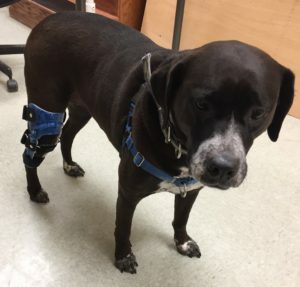 We fabricated a prosthetic extension with some spring built into it so that he could balance and walk and or run with it in place. 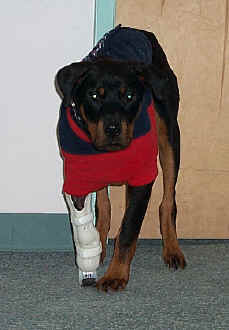 Henry’s prosthesis required adjustments as he grew. His owner had to keep an eye out so that he would not chew the end off his prosthesis as it was made of a similar material to his chew toys. 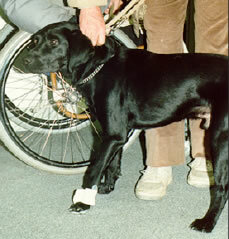 George is a black Labrador Retriever that was hit by an automobile. 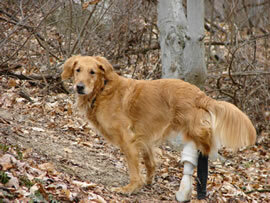 As a result he had lost the use of muscles in his front paw (“drop paw”). 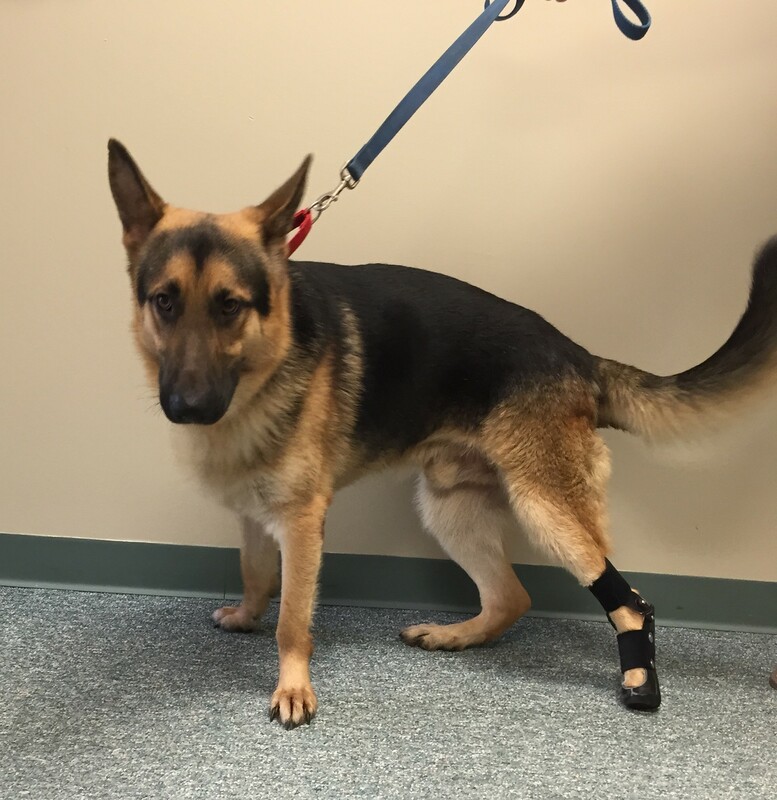 We fabricated a brace that supported his paw while standing and kept it from dragging while walking. (despite some spots that were chewed up a bit). 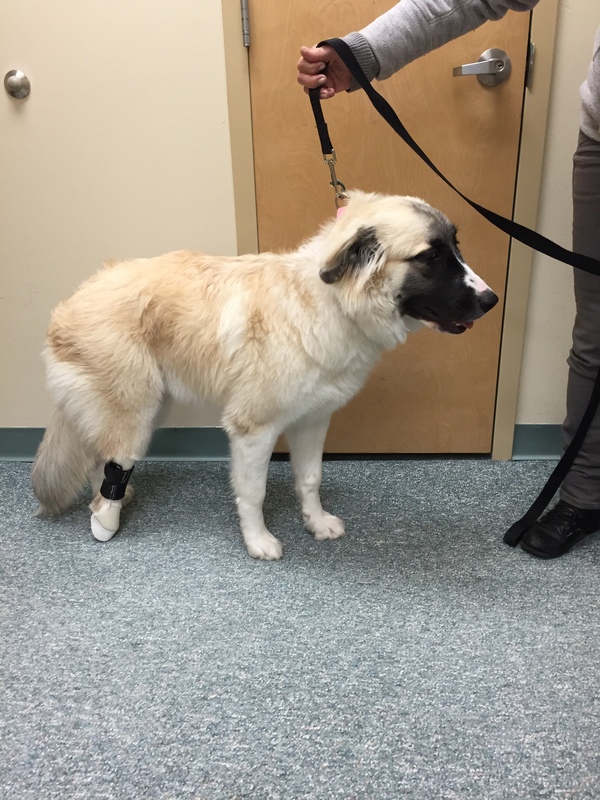 McKinley was fit with an orthosis with a lift to help stabilize his paw and equalize his paw length. 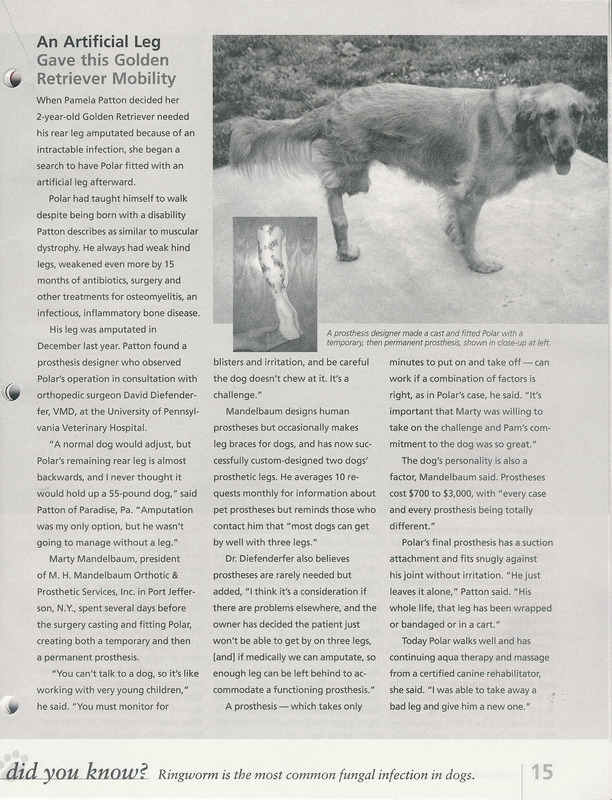 Polar is a Golden Retriever that needed a rear leg prosthesis in order to support him due to paralysis of both rear legs prior to his amputation. 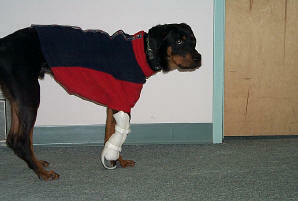 He is as far as we can tell the first dog to undergo an immediate post operative prosthesis (IPOP). 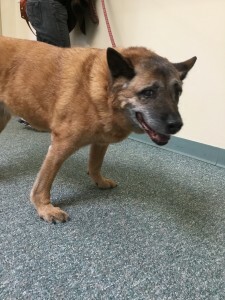 This was performed at The Matthew J. Ryan Veterinary Hospital University of Pennsylvania by Dr. David Diefenderfer December 13, 2004. View pictures of Polar’s prosthetic development. 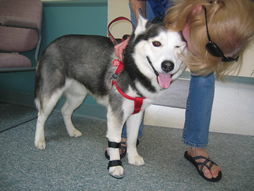 See Polar’s story at Land of Pure Gold webpage.